She hasn’t posted anything since the April before marrying Harry, but there are photos there from years ago that show a young woman living her life to the fullest. Like everyone else, Meghan likes to relax on holiday. 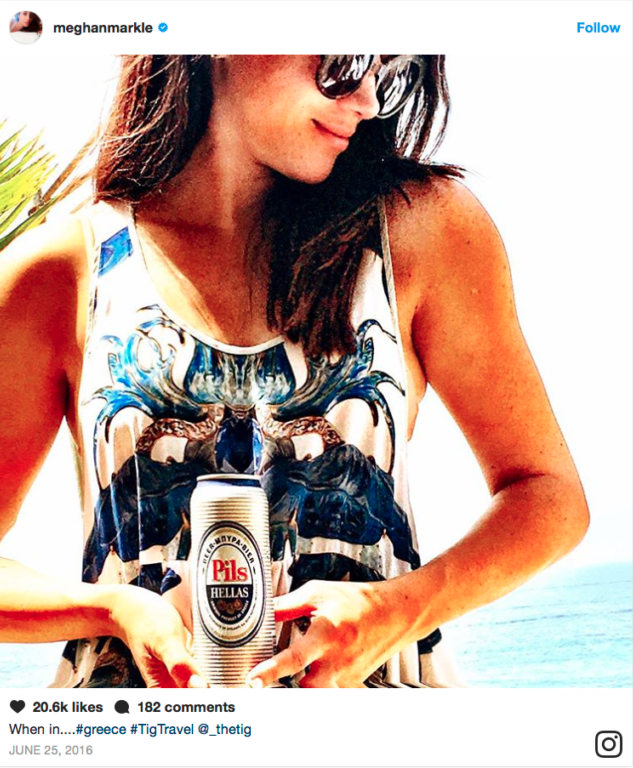 This picture shows her soaking up the sun on holiday in Greece maybe promoting this brand of beer, who knows?